Jonathon J. 4-time walker, for his mom. 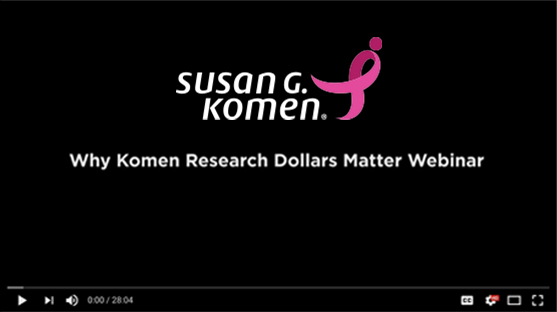 Susan G. Komen® has transformed how the world treats and talks about this disease and have mobilized the largest and most passionate community. Since 1982, we&apos;ve funded more than $988M in research, more than $2.2 billion in education, screening and treatment, serving millions in over 60 countries worldwide. The funds raised by passionate 3-Day® supporters and participants is used to invest in cutting-edge research that will lead to new, more effective treatments, working in communities across the country to ensure all people can access the care they need, and mobilizing passionate supporters to make certain the voice of the breast cancer community is heard by policymakers. Commit to making an impact. The net proceeds raised by the Susan G. Komen 3‑Day® help Susan G. Komen build a world free of breast cancer through research, community, care and action. 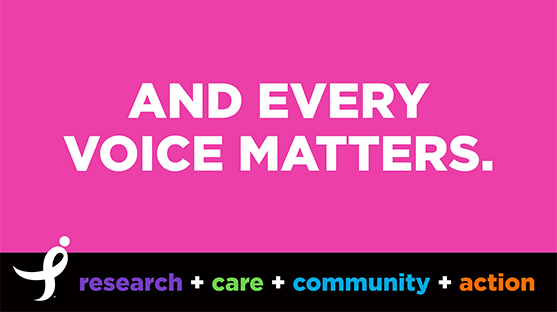 For more information about Komen or breast cancer, visit komen.org or call 1-877 GO KOMEN. In 2016, Komen announced a Bold Goal—to reduce the current number of breast cancer deaths by 50% in the U.S. by 2026, and we’re rallying supporters to take the extra step—to make a bigger, bolder impact. 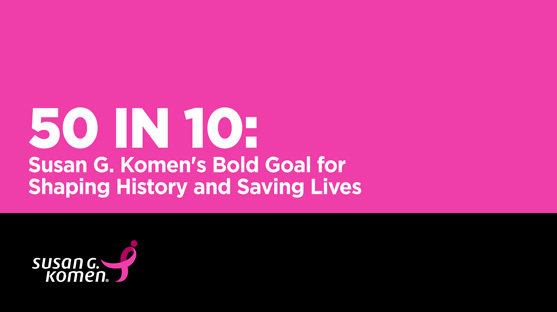 Read more about Komen's Big Bold Goal here. The money raised by the Susan G. Komen 3-Day has been used to save lives and make huge strides in breast cancer research.